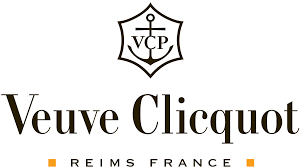 Veuve Clicquot believe a Champagne house should be judged on the quality of its non-vintage. If this was the case, Veuve would likely win hands down every time.Initial notes of fruit, brioche and vanilla remain throughout the drinking experience, making the Brut Yellow Label one of the most consistent and tasty Champagnes out there. Veuve Clicquot believe a Champagne house should be judged on the quality of its non-vintage. If this was the case, Veuve would likely win hands down every time.Initial notes of fruit, brioche and vanilla remain throughout the drinking experience, making the Brut Yellow Label one of the most consistent and tasty Champagnes out there.The Yellow Label was created in 1876, originally to easily identify it from the Veuve Dry (Brut) Champagne in a dark cellar. However, since then it has evolved considerably and is now Veuve’s identifying color.Often overlooked due to its commonplace in society, Veuve really is a special non-vintage. Take advantage of it.